The Eastern Medical Center staff want patients to leave feeling better than when they first arrived. They provide personalized, professional treatment with acupuncture, which allows the body to return to its natural state of balance to heal itself. 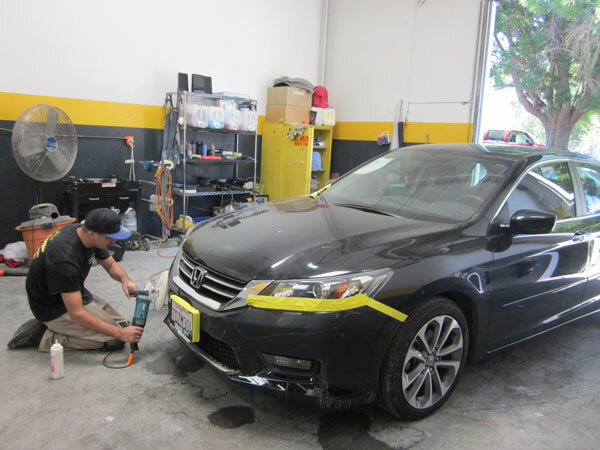 Winning for the fourth consecutive year, California Collision on California Avenue provides quality collision and auto body repair services with experienced staff and state-of-the-art equipment. Some of its services include one-day bumper repair, windshield and glass replacements, computerized paint matching and wheel repair. Established in 1979, the family-owned and operated Precision Auto Repair works with customers to keep their cars safe and dependable. They reclaimed the title after being in the Hall of Fame in 2016 and 2017. Owner Cosmo Panetta, along with his staff over the years, have made the barbershop a Pleasanton staple for more than 40 years. This family-owned business won this category after being Hall of Famers in 2016 and 2017. In business since 1959, Glover's Deep Steam offers a variety of services including 24-hour water damage emergency service, wall-to-wall carpet cleaning, mattress cleaning and a specialized "odorologist" to remove pet and smoke odors. A professional chiropractic, massage, fitness, cryotherapy and nutrition clinic, ChiroSports USA was voted Best Chiropractic Office for a second year in a row. The staff prides itself on superior patient treatment, education and customer satisfaction. Our readers voted Top Shelf Beauty Bar as their top choice for Best Day Spa. Top Shelf Beauty Bar offers eyelash extensions, massages, spray tans, nail art, hair services, bridal services, waxing services, facials, and many other services for women and men. Pleasanton Family Dentist was voted Best Dental Office for providing a state-of-the-art facility with the highest quality dental care available. Services offered to patients include bonding and white fillings, bridges, crowns, dentures, extractions and night guards. D&D Dry Cleaners never fails to satisfy our readers with their phenomenal services. Our readers enjoy the great quality and customer service of D&D Dry Cleaners, whose staff is quick to greet customers with huge hellos. Wealth Management Associates works with clients to review all aspects of their financial lives and design a portfolio that fits their needs and objectives. ClubSport Pleasanton offers a fitness resort experience with programs for all fitness levels in a family-friendly environment. Activities for members include rock climbing, tennis, aquatic exercises, volleyball and basketball courts. There is also child care available and a cafe for members who want a post-workout shake or snack. Offering a variety of services, from a cut and color to keratin treatments and cosmetic tattooing, Salon 77 West has 30 hairstyling stations, making it one of the largest salons in the Tri-Valley. With the motto "We strive to repair not replace," Richard's Heating & Air Repair can take care of any heating or cooling problem, or offer the best products for an upgrade to your system. Winning this category for the fifth consecutive year, Richard's Heating & Air graduates to the Readers' Choice Hall of Fame next year. State Farm Insurance agent Renee Huber strives to provide quality service and a variety of quality insurance products. Clients say she gives great advice from both a professional and personal perspective to help them make important policy decisions. Our readers have voted Outer Visions Landscape Design as the Best Landscaping Service for the fourth year in a row. Outer Visions Landscape Design takes on projects large and small offering landscape design and consultation services while also specializing in residential design. This repeat Readers' Choice winner offers unlimited classes seven days a week to its students. With instructors who are national and world champions, Jue's Taekwon-Do teaches students that self-defense is not only about technique but also fitness and awareness. Top Shelf Beauty Bar offers a variety of massages including a relaxing Swedish massage, deep tissue massage, hot stone massage, and more specialized services like massage specifically tailored to pregnant women or a sports massage designed for athletes. Top Shelf Beauty Bar is a double-winner in this year's contest, also named Best Day Spa. 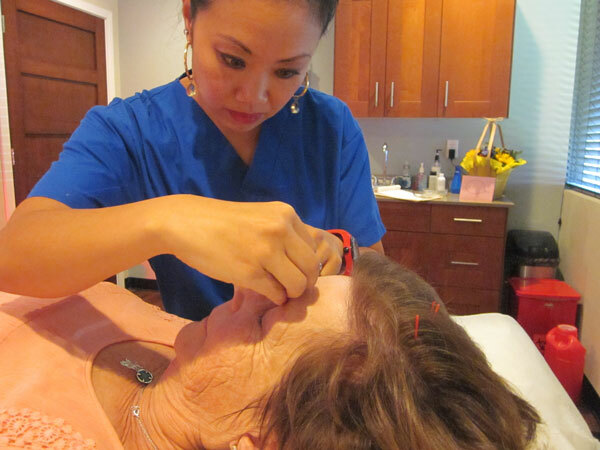 Located in downtown Pleasanton, Encore MedSpa offers fillers, laser treatments and specialty skincare treatments to help their clients feel beautiful and stay healthy. The professional staff provides service in a unique, customized and empathetic manner. Opes Advisors is a relationship-based, technology-driven mortgage and wealth management company. The professional and experienced staff help those looking for mortgage solutions, refinancing and investment suggestions. Hello Nails & Spa, at the corner of Hopyard Road and Valley Avenue, won this category for a second year. Staff members of the salon are friendly and thorough with nail care, giving our readers their most undivided attention. Providing families with the best eyecare available, Valley EyeCare Center continues their investments in new technology to ensure the highest quality of care for patients' eyes. With a team of highly qualified doctors and staff, Valley EyeCare provides medical, surgical, and vision services using the latest technology available. Earning another win for Best Orthodontist, Schlicher Orthodontics has succeeded in designing an environment that engages their patients and creates a practice where their patients feel listened to and respected. Schlicher Orthodontics offers a variety of treatment options, fit to serve a variety of patients. 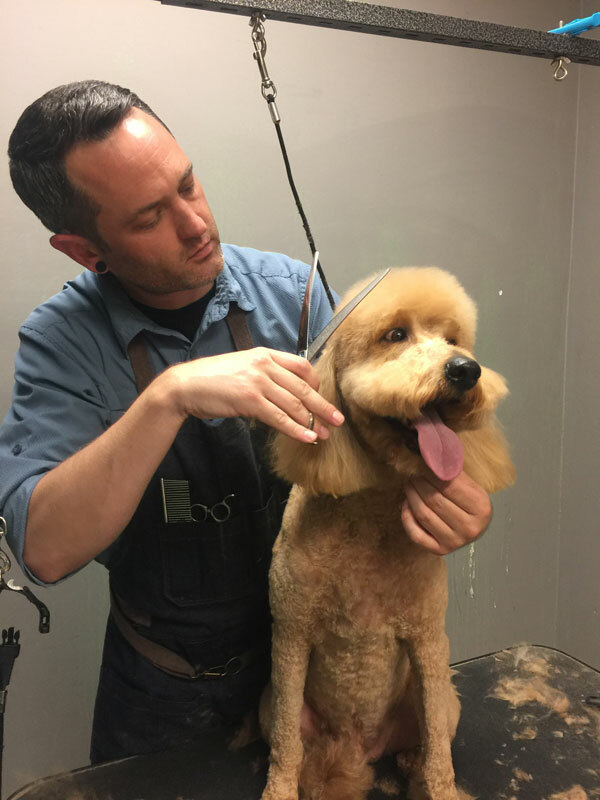 Taking the title for Best Pet Groomer for a second consecutive year, Dog Dynasty offers a spa experience for your furry best friend. The menu includes baths, de-shedding, nail trimming, gland expression, ear cleaning and teeth brushing. They also have daycare. Keelie's Pet Sitting is a newcomer to the Readers' Choice winners list. Keelie will take care of your furbabies in the comfort of their own homes. Keelie is animal CPR and animal first-aid trained, and the business is licensed, insured and certified. She will care for your pet as if they were her own. Bella Luna Studios recaptured the title of Best Photographer after a Hall of Fame hiatus from competition in 2016 and 2017. 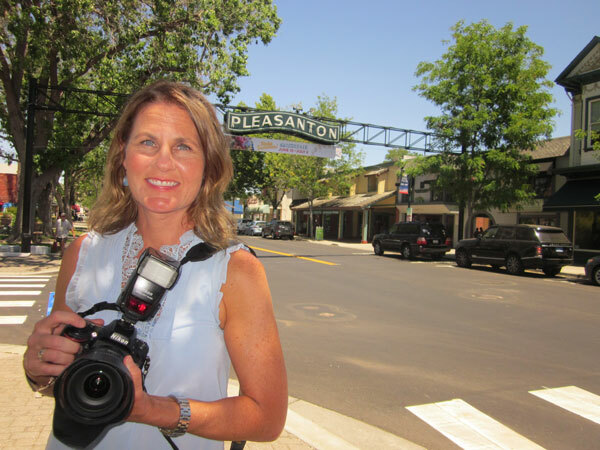 Christina Gray, owner and main photographer of Bella Luna Studios created the award-winning photography business based in Pleasanton since 2004. Bella Luna Studios provides family, newborn, campaign, headshot, and event photography at an indoor or outdoor location of your choice. Winning this category for three straight years, Savior Plumbing is a local favorite because of the staff's courteous, efficient and friendly manner. This family-owned business offers services from repair and replacement of sewer drains and water lines to jacuzzi, whirlpool and spa installation. Our readers voted for lifelong resident Gina Piper as Pleasanton's Best Real Estate Agent in her first year back in the contest after being in the Hall of Fame in 2016 and 2017. An agent with Better Homes & Gardens Tri-Valley, Piper's professional approach to her practice, coupled with her courteous attitude, leave clients satisfied with her service. Better Homes & Gardens Real Estate Tri-Valley's team of experienced real estate agents serve the greater Tri-Valley area. Our readers chose Better Homes & Gardens Pleasanton office because of the agents' quality service and market knowledge. Taking another win in the Real Estate Team category, sisters Donna Garrison and Susan Schall use their individual talents and knowledge to create the best home-buying experience for their clients. Specializing in local schools and their curriculum, Pleasanton Tutoring, a repeat winner, strives to inspire a love for learning among their students. The group of highly educated and experienced tutors, many of whom hold college degrees and years of experience teaching or tutoring, are all dedicated to providing the best learning experiences and education possible for their students. As a continuous winner in this category, Pleasanton Veterinary Hospital provides pets with the highest quality veterinary care, in a compassionate and personal environment where pet owners feel comfortable and welcome. This award-winning Yoga Alliance-registered yoga studio has won readers' hearts and votes for offering knowledgeable and safe instruction to all levels and all ages. Downtown Yoga teaches over 45 yoga classes per week in two studios with classes that start as early as 6 a.m. and as late as 7:30 p.m.